7 am - Studied the Bible, looking through 1 Peter in preparation for my meeting later today. 8 am – Met with Bev, Executive Pastor of Ministries, encouraging her and helping her prioritize the many things that are on her plate. 9 am – Met with David Smith, Northside Madison Campus Pastor, continuing our discussion from the day before concerning the Northside Madison Multisite. Great meeting, lots of unity and excitement. 9:45 am – Weekend Huddle – Ben, Worship Pastor, leads this meeting each week. We review the last weekend, look forward to the next two weekends, go through all the details, ensuring that our six services run smoothly at both locations. 10:15 am – Staff coffee – This monthly gathering allows us to catch up with each other and hear all that God has been doing. 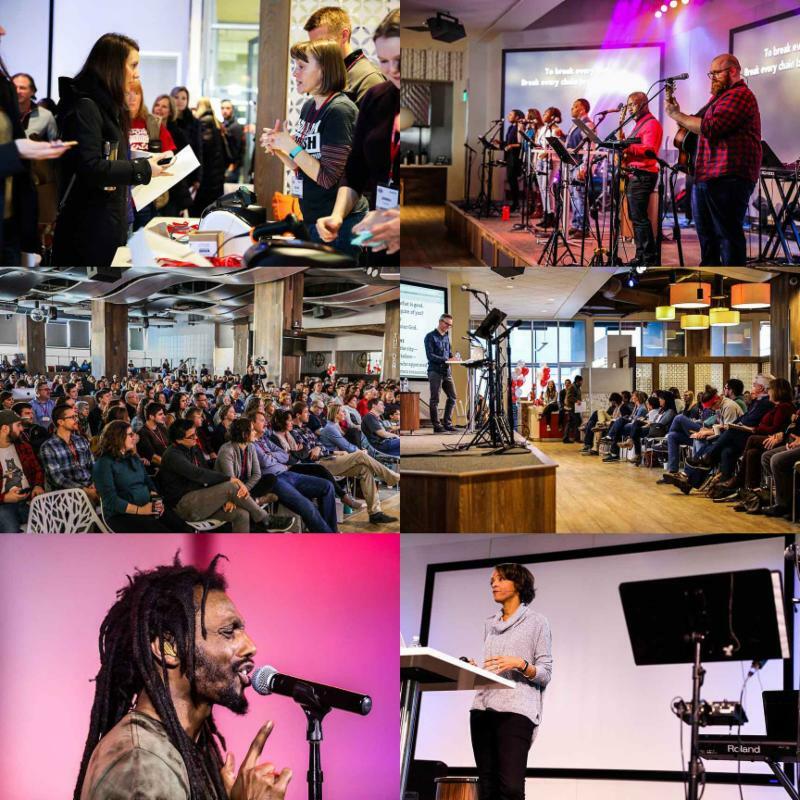 Lots of rejoicing over last weekend’s Kingdom Justice Summit with over 700 people attending the three events, reaching across 60 different churches. The highlight of staff coffee is praying together in teams for each other and our church. I walked away grateful for our staff, God’s goodness to us and the privilege to pray together. 11:10 am – First time I’ve had in two days to catch up on emails. 11:30 am – Lunch at Crema with Ben, our Worship Pastor here at Sprecher Road Campus. Important conversations about life and ministry. We finished our time thinking through our upcoming series (after Easter) on Hope, taken from 1st Peter. 1 pm – Bev and I are speaking at our district conference on “Healthy Teams”. We mapped out our workshop and then planned the arrival of Ryan Morrison, the new DeForest Campus Pastor (April 1). 2 pm – Met with our tech team to tweak our weekend video, making sure there are no more distracting stocking caps or heads showing. 2:25 pm – A little late to tutor Will at Schenk Elementary where I was excited to see my 5th grader take a giant leap in his math skills. Way to go Will! 3:15 pm – Headed over to Randy, our architect/designer, where we re-worked the design on the Northgate space, giving us a bit more room in our gathering/rec space. 6:00 pm – Went home for dinner with Lori and some great homemade chicken noodle soup! 8:00 pm – Watched two episodes on Netflix and then off to bed. Thanks for the privilege of serving together with you. I’m looking forward to worshipping with you this weekend as we get into James, Chapter 3. PS Don’t forget to turn your clocks ahead. PSS Continue praying for those God has placed in your life who are “far” from God and consider inviting them to Easter at DCC.